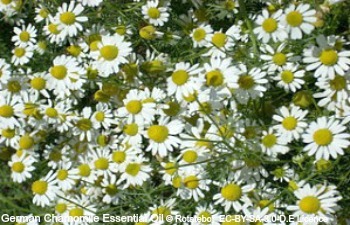 German Chamomile essential oil comes from the chamomile plant. The most common type used in the treatment of eczema is German chamomile. It is thought to be slightly stronger than Roman chamomile. Though they have the same properties. 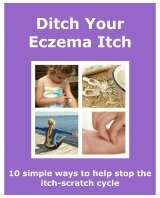 As a natural treatment for eczema, it is thought to help because of it's many properties. Antiseptic. Can help to soothe your skin and help to reduce itchiness. Preventing further damage to your skin. Chamomile can cause an allergic reaction in some people. Whichever way you decide to try chamomile always use on a small area to start with. If you are using the oil diluted or adding it to a moisturiser or carrier oil, test a small amount on a small patch of skin. If you decide to use tea, either to drink or to use on your skin, it is also recommended to start small. Either drink a little amount of tea, or use on a small area of skin. Pregnant women are advised not to use chamomile in any form. Also check with your doctor before using chamomile. It may counteract with certain medications you are taking. Generally, chamomile is harmless and safe to use. If reports are correct, it is useful in helping with many ailments, not just eczema. So as long as you don’t have an allergic reaction to it, it may be a great all-round natural remedy for you.